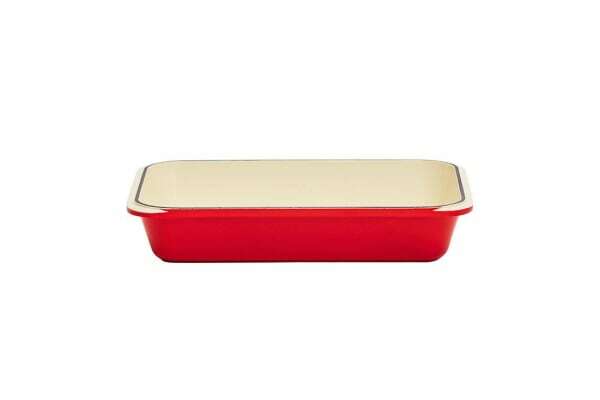 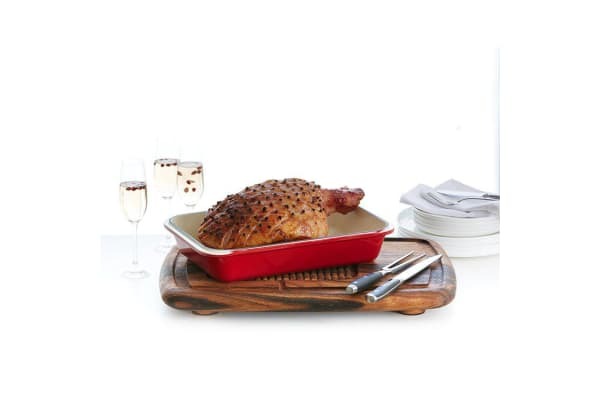 Showcase your versatility as a home cook by baking or roasting various meats to perfection using the 40×26cm chilli red Chasseur Roasting Pan exclusive to Kitchen Warehouse. From honey garlic salmon, roasted herbed beef tips, to lemon chicken roast with potatoes, this enamelled roasting pan gives any dish that mouth-watering golden roasted colour every time, thanks to its ability to distribute and retain heat well. 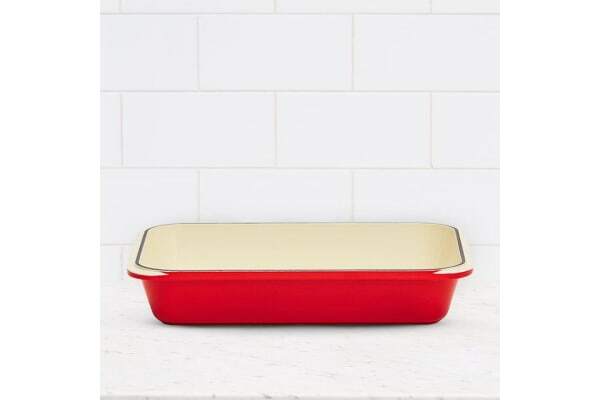 With this Chasseur roasting pan, your great cooking will always be the star of potluck parties and family dinners.